KAFFNY Infinite Cinema is a non profit organization and we would like to thank our Sponsors and Partners for making the festival possible. We couldn't have done this without your help and support. Housed in a historic, refurbished factory on the Brooklyn waterfront. Perks include a screening room, a trendy rooftop bar and a French-inspired restaurant. Midtown's newest and largest Karaoke Lounge and Sports Bar. Located in the heart of Midtown Manhattan, Karaoke City is the perfect spot to grab a couple of friends for a night of karaoke kraziness, or request our party room and bring the whole house (up to 100 people)! Our private rooms are complete with modern finishes and state of the art equipment. Our playlists are updated monthly so you can reminisce with some classic favorites or turn the volume up with today's chart toppers. There's something for everyone at the City! This is new Korean comfort food. Traditional, healthy, gluten free, made with local ingredients to create what is today's Korean flavors. We will officially launch on February 1st, 2017 at the Williamsburg Whole Foods. Newswire is a press release distribution platform that helps clients increase their online visibility and web presence. With over a decade of experience, Newswire continues to provide premier syndication to leading news outlets. We empower our clients with a variety of solutions to suit any budget. Our friendly support team is here to assist you should you have any questions. 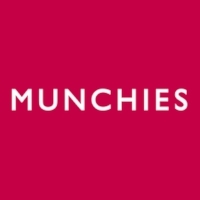 MUNCHIES is a website and digital video channel from VICE dedicated to food and its global purpose. Launched in 2014, MUNCHIES offers groundbreaking content from a youth driven perspective. Food and the events that manifest around it are one of the everlasting experiences that cannot be replicated by arcs and zeroes. Through engaging original video content, compelling editorial features, articles, how-tos, recipes and events, MUNCHIES offers a signature perspective on the intersection where humans and food connect. 88Rising is a media company founded by Sean Miyashiro that is, in their words, "dedicated to celebrating global Asian culture." They make all sorts of videos (which you can see on their YouTube channel), from music videos to clips about eating and drinking to the simply inexplicable. 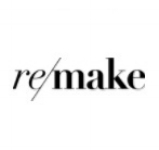 American music company founded by Talya Elitzer and Nick Sylvester. We take way-left artists and bring them slightly more to the center. Or we take way-center artists and bring them slightly more to the left. Forever intrigued by the possibility of somebody who's 'way-right'. Our mission is to build a conscious consumer movement. When we know the stories, we can use our collective voice and shopping dollars to improve and shape the lives of people who make our clothes. We aim to represent models with healthy beliefs and values. A “Role Model’ is anyone who has the ability to be a positive influence to others and who wishes to inspire others through their social work, activism, social media, and other platforms. We work primarily in collaboration with talent, brands, and organizations who are aligned with the Role Model’s Values. The mission of Also-Known-As is to empower the voice of adult international adoptees, build cultural bridges, transform perceptions of race, and acknowledge the loss of the birth country, culture, language and biological family experienced by international adoptees. 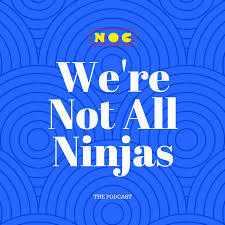 We're not all ninjas is a movie review podcast focusing on Asian American Representation in Hollywood Films. Hosted by Melissa Slaughter, Rachel Liu, and Alex Chester Music by Ryan Majoris. 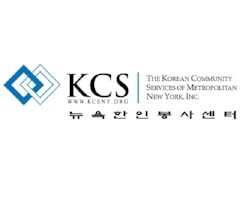 KCS’ mission is to be a bridge for Korean immigrants and the wider Asian community to fully integrate into society and overcome any economic, health and social barriers so that they become independent and thriving members of the community. We accomplish this mission by providing culturally competent programs in the areas of Aging, Education, Immigration, Workforce Development, Public Health, and Mental Health. MOFAD is a new kind of museum that brings the world of food to life with exhibits you can taste, touch, and smell. We inspire public curiosity about food, what it means, and how it connects with the world around us. Our goal to be the world’s premier food museum and a global educational resource that inspires generations of curious eaters of all ages and backgrounds. 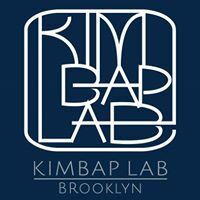 The museum currently operates MOFAD Lab, a 5,000-square-foot experimental space in Williamsburg, Brooklyn where Chow: Making the Chinese American Restaurant is currently on show through February 2018. Ragamuffin is a talented artist in both still imagery and motion imagery. The artist had created the animation of the KAFFNY logo in the past few years.